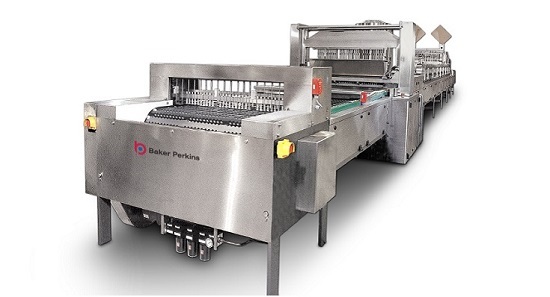 Production flexibility is always welcome, so for confectioners operating in markets where it is difficult to justify large-scale plant for one product range, Baker Perkins offers a ServoForm™ starch-free depositing system capable of producing both hard candy and flat lollipops. The additional cost of a dual-purpose line is low. A simple automatic stick placing system, which can be by-passed, is needed for lollipops, and the cooling system must be long enough to enable lollipop cooling. But the same chain circuit can hold either a single flat lollipop mould, or two candy moulds, and these are rapidly interchangeable. 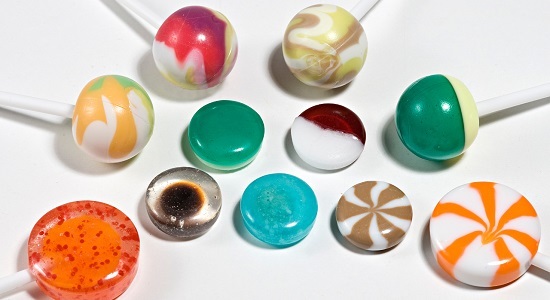 There is absolutely no compromise on product standards; an existing hard candy line can be converted to add lollipop capability, and vice-versa. Compared with conventional techniques, such as die forming and the starch mogul, starch-free depositing brings substantial quality and choice benefits for both lollipops and candies. The one-shot depositing action of the ServoForm™ depositor can combine up to four colours and components in a single piece to produce a wide range of attractive products that have exciting taste and texture combinations. Multi-colours can be made in stripes, layers and random patterns. Hard or soft centre-fills can be incorporated, to add a range of textures with every possible colour and flavour. All products can be produced in sugar-free varieties, and there is also the ability to add medicinal or nutraceutical elements. Superior appearance, high clarity and rapid flavour release with a smooth 'mouth feel' are some of the key quality advantages created by depositing compared with a starch mogul or die forming. The nature of the depositing process creates complete control throughout the system, leading to extremely high dimensional, shape and weight accuracy, negligible scrap rates and efficient wrapping, plus maximum hygiene with low maintenance. 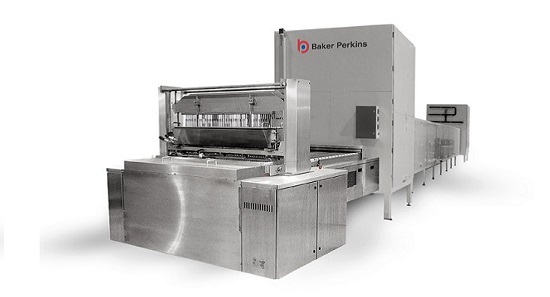 As well as the ServoForm™ depositor, complete, automated Baker Perkins systems include automatic weighing, feeding, dissolving, and colour / flavour / acid addition, plus the Microfilm™ cooker - the industry standard for high boiled lollipops and candies.